Note – this list factors in the commercial significance of each bout. So fights like Williams-Lara, and Rios-Abril, while clearly miscarriages of justice, are not weighted as highly given their lack of mainstream significance. Billed as ‘The Fight of the Millennium,’ the last of the so-called ‘Superfights’ of the 20th Century, it was a battle of unbeaten champions as reigning WBC megastar Oscar De La Hoya squared off against boxing’s other pound-for-pound king, IBF Champion, Felix ‘Tito’ Trinidad. This match would both unify the Welterweight titles, and prove who was the best fighter in the world. When Jim Lampley spoke those words in Round 9, the so-called Superfight had thus far been nothing more than a chess match. And not even a competitive one at that – picture Bobby Fischer versus some hustler in Washington Square Park. Yup, it was that kind of lopsided. De La Hoya frustrated Trinidad all night with his lateral movement and footwork, never getting caught up in the ropes and keeping his distance from the heavy-hitting Puerto Rican by effectively utilizing his jab. De La Hoya – a fighter known for his jab and vicious left hook – continually stunned Trinidad with right cross after right cross. He seemed to be landing them at will. I gave De La Hoya 8 of the first 9 rounds. Larry Merchant had it 6 to 2 with 1 even. Howard Lederman had it 6 to 3, which, in my opinion, is exceedingly generous. Regardless of the score, there is little debate about who won the early rounds. It’s rounds 10-12 that this fight is remembered for. De La Hoya, on the advice of his corner, played defense in the final three rounds – which is a polite way to say that he ran the hell away from Trinidad and didn’t fight for 9 minutes straight. Now, to be fair, De La Hoya’s entire strategy was to box – stick and move, stick and move – and he employed that strategy beautifully for 9 rounds. He didn’t let Tito cut off the ring, and he picked his opportunities to fight and throw combinations, landing at least 2 or 3 per round. Tito, on the other hand, barely threw a single combination in the first 9 rounds. That’s how effective De La Hoya’s game plan was. 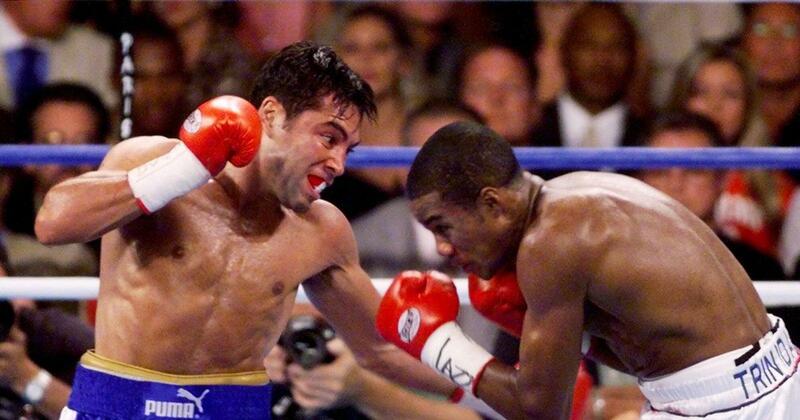 Yes De La Hoya took off the last 3 rounds, and yes he lost all 3 (though the 10th was pretty close). But even still, there is no question who won the fight. As Jim Lampley said, he didn’t outclass Tito, but it was verging on that. The judges, of course, saw it differently. They handed Tito the win, and that’s how the ‘Golden Boy’ came to record his first ‘L.’ Incidentally, this fight set the record for non-heavyweight PPV buys, with 1.4 million; a mark that would stand for 8 years until De La Hoya-Mayweather broke it. There would be future controversial decisions in the Golden Boy’s career – one where he was robbed against Mosely, and another where he was gifted against Sturm. Regardless, this fight goes down as one of the biggest boxing robberies of all time, given the hype surrounding it, the status of the two stars inside the ring, and the fact that they never fought again – so we’ll never really know who was the best boxer in the world at the time. 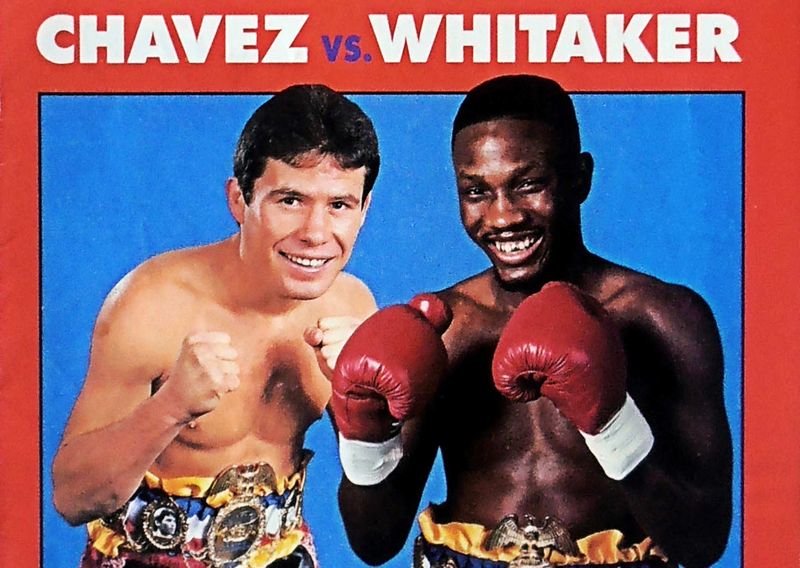 Before there was Mayweather-Pacquiao, before De La Hoya-Trinidad, there was Chavez-Whitaker. Julio Cesar Chavez is a boxing legend, often considered the greatest Mexican boxer of all time, which is saying a lot. Coming into this fight, he had a jaw-dropping record of 87-0. Chavez was that rare combination of boxer and brawler, someone who could bob and weave and play defense on the outside, until he worked his way inside on you and broke your will. He was the best in-fighter in the game, and his chin was legendary; the first time Chavez ever hit the canvas was in his 91st pro fight. Pernell Whitaker, meanwhile, was the best outside-fighter in the game. A slick southpaw with phenomenal footwork – he would dance, move, duck, hop, and sometimes even leap to places other boxers could only dream of reaching. Whitaker brought a 32-1 record into this fight, with his only loss being to Jose Luis Ramirez in what many consider to be a fight that Whitaker actually won. He was the Floyd Mayweather Jr. of his day, and Chavez-Whitaker was the ultimate ‘Bull vs. Matador’ matchup; it was brute force against blinding speed. The first half of the fight was dead even. Whitaker established his game plan in Round 3, slipping and dipping, utilizing his speed and elusiveness, and finding just the right moments to throw wicked combinations. Chavez, who was the best in the business at cutting off the ring, was relegated to chasing the man they called ‘Sweet Pea’ around and around, just as Trinidad would chase De La Hoya six years later. Chavez did manage to force the action enough in the first 6 rounds to make it close on the cards, if not even. But Round 7 was when Whitaker took over. He began to outclass Chavez, sticking and moving, capitalizing on his hand and foot speed. Whitaker even fought Chavez on the inside – and beat him there; something no one thought possible. There were moments when Whitaker double-jabbed Chavez, and somehow brought his right back in time to block a Chavez left hook. Thus was the blinding speed of Pernell Whitaker. By Round 11 Chavez was exhausted. He was lunging and leaning, his punches lacking their usual sting. They fought the whole round on the inside, and Whitaker dominated without question. It was a masterful show of boxing prowess, and it earned Whitaker the right to be known as the first man to defeat Chavez in the ring. If one were so inclined, one might argue that Don King rigged the match to keep Chavez’s revenue-generating, zero-loss streak alive for as long as possible. Of course that would imply that Don King were capable of such devious, underhanded, mafia-style tactics. Regardless of what actually happened that night, one thing is certain: Sweet Pea won the fight, and was robbed of a victory. 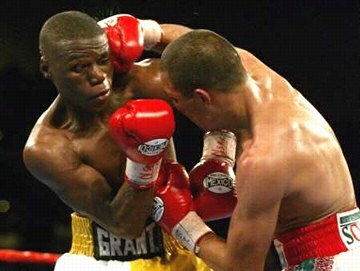 Mayweather, at age 25, with a record of 27-0, was years away from the iconoclastic figure nicknamed ‘Money’ for having generated more of it than any other boxer in history. This was ’02, and ‘Pretty Boy Floyd’ was moving up from Jr. Lightweight to Lightweight to face a Mexican bruiser named Jose Luis Castillo. Most experts predicted a Mayweather rout; just another rung on King Floyd’s ladder of greatness. His loss was apparent, even to Mayweather, who could be seen hanging his head immediately after the final bell sounded, and staring down at the canvas in the run-up to the decision. This wasn’t the loud and proud Pretty Boy Floyd we’d all come to expect. This was a man who knew he was beaten. Yet the judges decided otherwise. Two of the judges scored it 115-111, and Anek Hongtongkam (best name ever!) had it 116-111. I personally had Castillo up 8 rounds to 4. Harold Lederman at ringside had a similar score. I can understand 7-5 Castillo, but anything beyond that is stretching it. And to say that Mayweather not only won this fight, but won it convincingly – as all three judges’ scorecards imply – is an outright travesty. Castillo out-muscled, out-maneuvered, and out-classed boxing’s soon-to-be brightest star. A lot of people blame the decision on Bob Arum, who promoted both Mayweather and Castillo at the time. It’s clear what Arum’s motivation would have been to fix this fight – Pretty Boy Floyd was on the rise, and having that big goose egg in the ‘Loss’ column helped make him a household name. If you’ve never seen this fight, don’t bother. It’s easily the most boring championship match of all time. I’ll give you a quick rundown of the entire fight right here: Valuev stands in the center of the ring and does nothing, while Holyfield dances around him and does next to nothing. Picture that for 12 rounds. The reason this is an all-time great robbery is because, at the end of the day, next to nothing is still more than nothing. Holyfield won this fight 11-1. The only round that is even plausible to give to Valuev is the 12th, yet somehow, in some universe, the judges gave Valuev the win. I guess they decided that lumbering around for 33 out of 36 minutes and throwing 4 or 5 punches a round – never mind any combinations – is enough to retain a title. Yikes. This is a big deal, considering Holyfield would have made history with this win, notching his fifth world title and becoming the oldest man ever to win the heavyweight crown at age 45 (besting ‘Big’ George Foreman by several months). But alas, it was not to be. 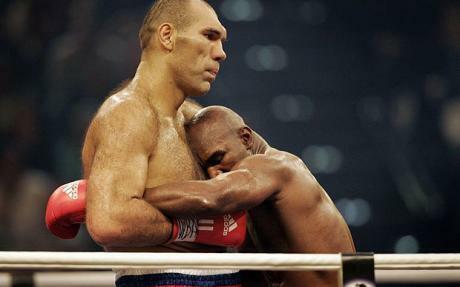 The one cool thing about this fight is that Valuev is a monster. And by that I mean he’s 7 feet tall and weighs over 300 lbs. Holyfield, at 6″3, 210, looks like a hobbit dancing around that Stone Giant thing in Lord of the Rings. The reason this fight is #2 on the list is because the decision is so egregiously wrong. Other than the 12th, I defy you to find one round that Valuev won. I know this isn’t the most meaningful heavyweight bout of all time, but from now on, when someone mentions the fact that George Foreman is the oldest man ever to win the heavyweight title, you can bring up the asterisk that is Holyfield-Valuev. You knew it was coming. The grandaddy of all highway robberies. The most shameless star-making event in boxing history. The day that three judges decided Tim Bradley out-fought Manny Pacquaio. A little context before we delve into this one: The fight took place in 2012, right around the time everyone was clamoring for a Pacquaio-Mayweather Superfight. We all know what happened there. Instead of Pacquaio-Mayweather, we got Pacquaio-Bradley. Okay, fair enough. Bradley came into this fight undefeated, with impressive wins over Lamont Peterson and Joel Casamayor. He was ranked a top 10 pound-for-pound fighter, so after negotiations with Mayweather and for a Cotto rematch both fell through, why not give a guy a shot? The fight itself brought zero surprises. It was the decision afterward that left everyone floored. In the narrowest of margins, the judges gave a mixed decision to Bradley. It’s tough to find a single person who thinks the decision was justified. By my count, Manny won the fight 10 rounds to 2, and most of those were pretty decisive. The only rounds I gave to Bradley were the 10th and 12th. Now, I can see a 9-3 decision, and can even stomach an 8-4, but giving more than 4 rounds to Bradley…? The judges unanimously gave Bradley the 7th round, even though Manny doubled him in punches landed! 2 of the 3 judges gave Bradley the 8th, even though Manny outpointed him 15-9 in that round. And there was no question who was throwing the harder leather. 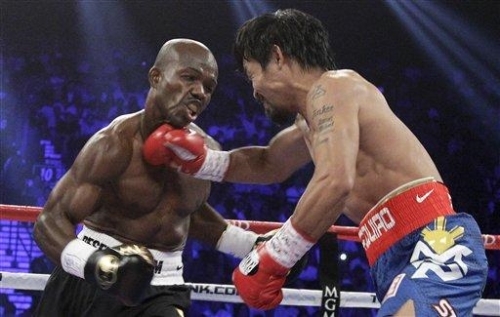 Jim Lampley and Emanuel Steward were commenting all night how much more power Manny had, and how Bradley simply couldn’t handle his trifecta of speed, skill, and punching power. After the fight, Bradley was asked by Max Kellerman in the center of the ring if he thought he won. He said that he would ‘have to go back and watch the tape to see who won the fight.’ The crowd booed. Kellerman then asked Pacquiao if he thought he won the fight. Pac responded, “Absolutely, yes.” And the crowd went wild. Now, if you’re going to claim that a fight is fixed, you should at least have a theory as to why it would be. There’s a pretty convincing one for this fight, and it starts and ends with Bob Arum. Bob Arum promoted both fighters. Pacquiao was already a legend, and having had 3 losses, wasn’t protecting a goose egg the way Mayweather was throughout his career. So what’s one more loss going to do to his iconic reputation? Absolutely nothing. Meanwhile, a win for Bradley makes him an instant star – which is exactly what happened. It also sparked a very lucrative Pacquaio-Bradley trilogy, of which Pacquiao convincingly won the last two fights (and wasn’t robbed by the judges). And if you want to be uber-consipratorial about the whole thing (and who doesn’t! ), you could say that, ‘isn’t it a coincidence that Bradley signed with Top Rank just before this fight, and fought a big match on the Pacquaio-Marquez 3 undercard, thus introducing him to a more mainstream audience?’ And… let’s just go the full nine here… ‘isn’t it strange that Bradley looks a heck of a lot like Floyd Mayweather Jr., whom fans wanted to fight Pacquaio, but the fight never materialized (up to this point)?’ Could Bob Arum be pulling his best Vince McMahon impression, giving us a substitute for Mayweather-Pacquiao – only one in which the drama was artificially manufactured instead of naturally ingrained? Color me cynical, but I think all of the above is possible. Bradley, meanwhile, went on to fight and beat some top contenders, including an aging Juan Manuel Marquez, Jessie Vargas, and Brandon Rios. Tim Bradley is by all accounts a very warm, likable guy, and it’s worth noting that he is not the one who robbed Pacquiao. It was the judges who robbed Pacquiao. Regardless, this fight is yet another reminder that boxing can be such a cruel mistress: she can seduce you, and just as quickly stab you in the back.